Cebu Pacific, the Philippines’ largest carrier, today launched Melbourne–Manila services. 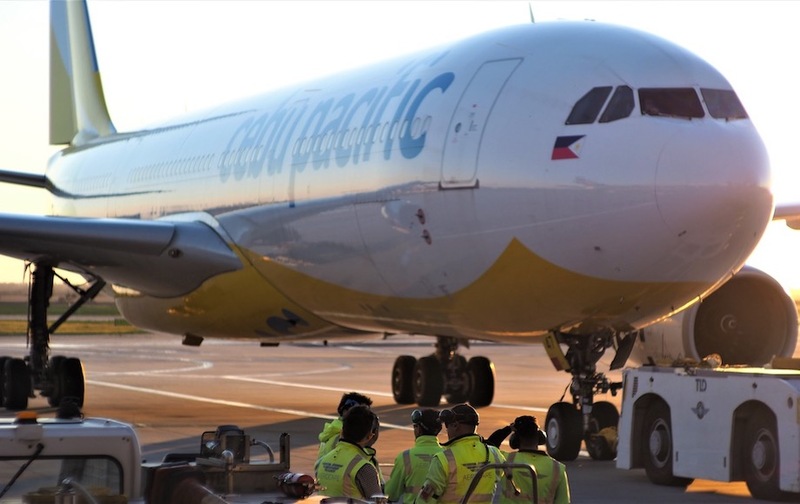 Cebu Pacific first entered the Australian market with a successful Sydney–Manila service in 2014 and since this time, tourism between the Philippines and Australia has increased by an average 16% yearly—from about 186,000 passengers in 2014 to over 413,000 as of April 2018. Swissport SVP – Pacific Glenn Rutherford congratulated all involved in the successful start-up in Melbourne. “We’re proud to support Cebu Pacific as they continue their impressive expansion in our region, and have enjoyed a strong relationship since commencing Sydney operations in 2014,” Mr Rutherford said. The Melbourne-Manila service will operate every Tuesday, Thursday and Saturday, departing Melbourne at 5.05pm to arrive at 11.15pm. The return service sees flights departing Manila at 6.05am, arriving in Melbourne at 3.50pm. The airline flies from Sydney to Manila five times a week. Swissport is the world’s leading provider of ground and air cargo services active at 315 airports in 50 countries across all five continents. In Australian and New Zealand, more than 3,200 team members currently service 3,200 flights per week and 45,700 passengers per day.